Get route directions to that location. This feature of Spymaster Pro is a lifesaver, especially in instances where your teenager has not been able to contact you, and you want to know where the child is. Also this mobile location tracker app helps you to keep an eye on your employees, notably when you know that they sneak out during office hours. 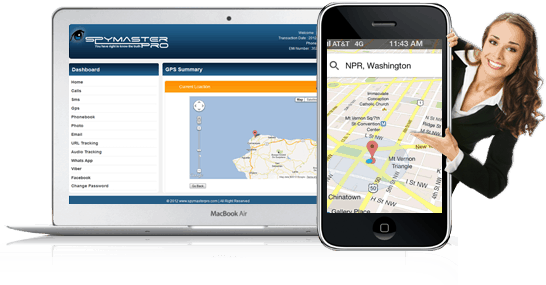 Therefore if you’ve got Spymaster Pro installed on the cell phones you wish to track, then you can easily know about their GPS location using this feature! See the precise information of the location. See the time and date details. Don’t get fooled with the constant lies about your spouse’s location ! No longer put your company at loss by thinking that your on field workers are not faking all those miles. Avail the benefit by using gps cell phone tracker app to inspect all the places they visit.